Disclaimer: * Limited time lease offers provided through Lexus Financial Services on approved credit. 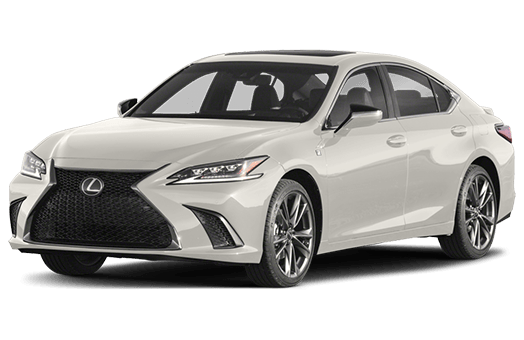 Representative example based on a new 2019 Lexus ES 350. 2.9% lease APR for 39 months. 84 bi-weekly payments required. Bi-weekly payment is $238 with $3,740 down payment or equivalent trade-in, $2,075 freight and PDI, $100 air conditioning charge (where applicable), $0 security deposit and first bi-weekly payment due at lease inception. Total lease obligation is $23,890. Taxes, license, insurance, registration and certain fees (including, where applicable, dealer fees) and charges (all of which may vary by region) are extra. 16,000 kilometre allowance; charge of $0.20/km for excess kilometres. For all offers, quantities of vehicles may be limited and Dealer order/trade may be required, may be limited and will vary by model. All offers are effective from February 1st, 2019 to February 28th, 2019 and are subject to change/cancellation without notice.